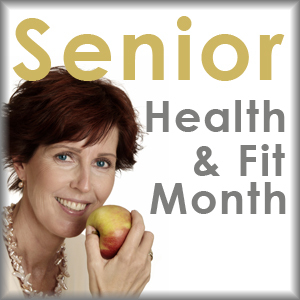 Senior health and well-being is important, let us help you get excited about it! Many featured activities offered at “no charge.” Space is limited! Register early. Benefit, mind and body from more than 80 activities offered at Wylie Recreation Center and Bart Peddicord Community Center during Health and Fitness Month. Out-of-range blood pressure may be silent, but it is serious. It is important to know and control your numbers. Register per person. Singles welcome. Reduce your risk with this life-changing seminar designed to identify your heart disease risk and provide insight and suggestions on how to live better and longer. Pre-reg. by start time. Pre-register by 1/4/2013 by contacting Methodist Dallas Women’s Imaging at 214-947-0026 to schedule your appointment. Mention our location when scheduling. Please bring your insurance card and the name and mailing address of your doctor. Without insurance? A payment of $288.05 is due at the time of service. Stretching helps loosen stiff joints and muscles while reducing pain and inflammation in the body. With practice and patience, these combined efforts become easier. Pre-reg. by start time. Gain valuable nutrition recommendations, assistance with planning meals and tips for healthier eating. Show aging who’s boss. Benefit from the fun movements and Latin-style music of Zumba tailored to anyone that has physical limitations. Pre-reg. by start time. Receive factual and helpful information to help you achieve better control of your blood sugars from a certified diabetes educator. Pre-reg. by start time. If a family member, friend or infant in your care had a cardiac emergency in your presence, could you recognize the signs and respond quickly and appropriately? Register by January 23. Space is extremely limited.